Raboda is a Responsive Magento Theme 2015 with powerful Theme Framework for fashion world, such as cloths, caps, bags, digital product, mobiles, tablets, computers, accessories. 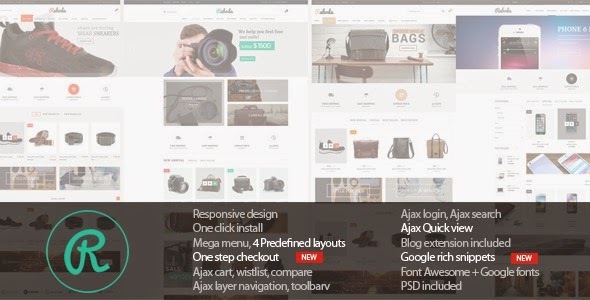 This theme integrated many extensions such as : featured products slider, brand slider, Ajax add to cart, Ajax, add to wishlist, Ajax login, Ajax search, up sell slider, related slider. Blog and Testimonial are integrated in this theme to connect shopkeeper and customers. Item Reviewed: Raboda Multipurpose Responsive Magento Theme 2015 9 out of 10 based on 10 ratings. 9 user reviews.